Mobilize Rescue | Gonneville Inc.
while the ambulance is en route. TRAUMA IS THE LEADING CAUSE OF DEATH FOR AGES 1-44. 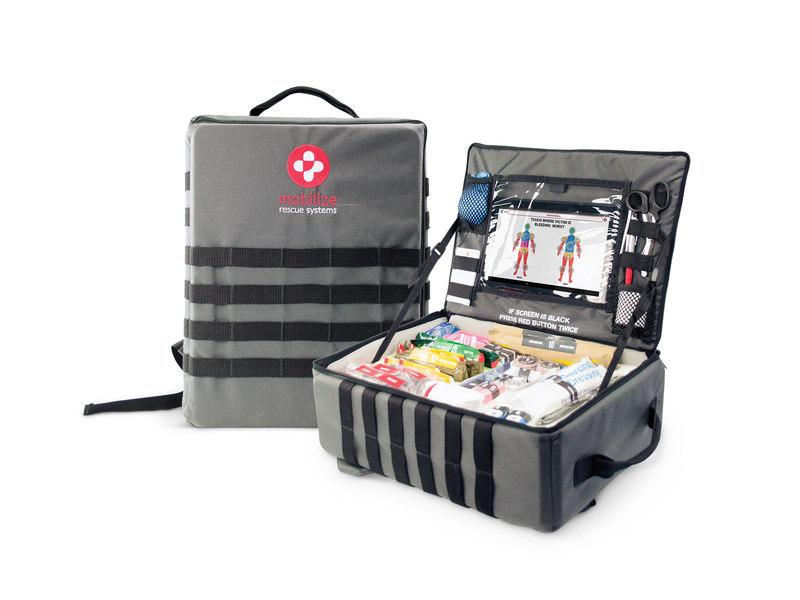 The perfect complement to your AED. 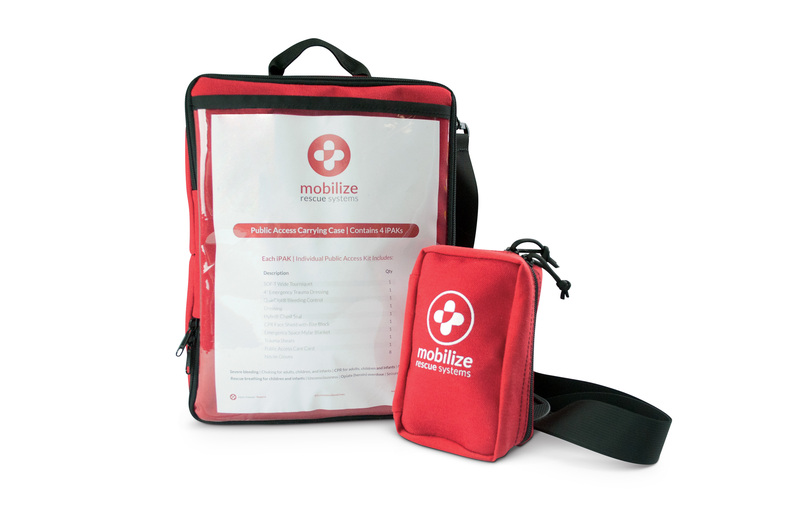 • Modern supplies to manage severe bleeding, cardiac arrest, seizures, choking, and more. 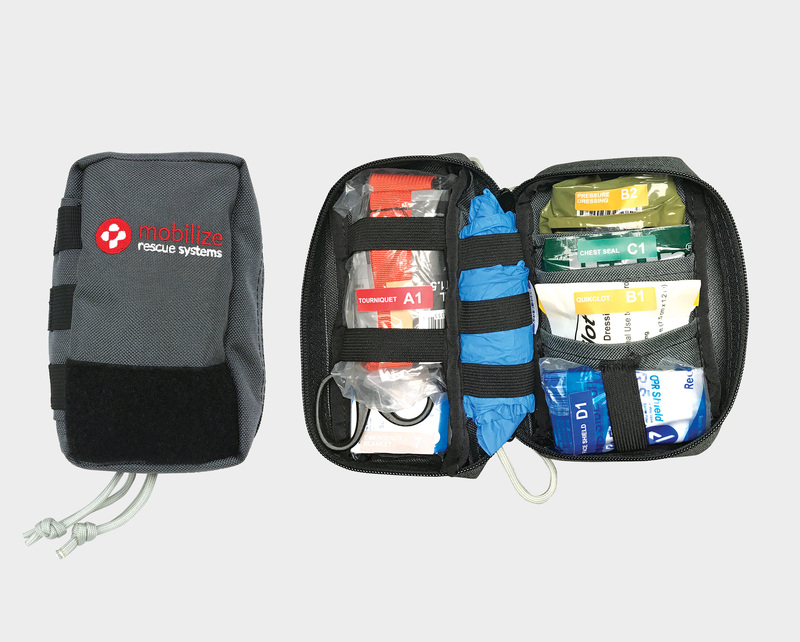 • Water-resistant, durable case protects the life-saving supplies until they are needed. • Color-coded and numbered supplies match the app’s instructions exactly. 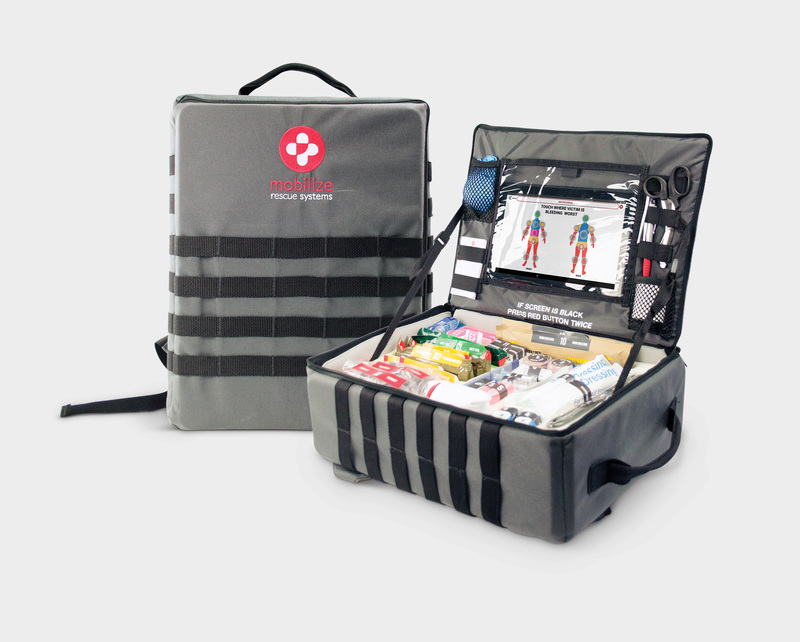 Perfect for Emergency Response Staff. 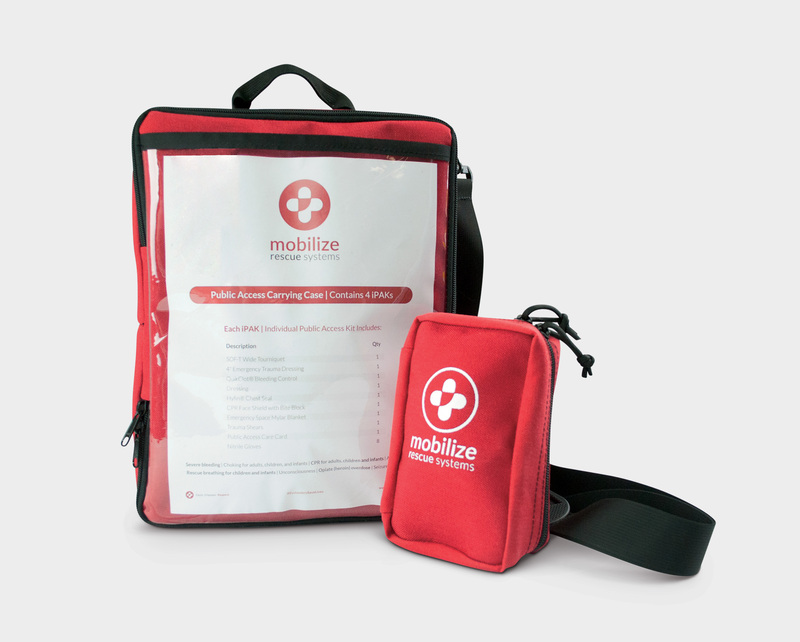 Have peace of mind at work, at home, or on the road. Perfect for empowering entire communities. 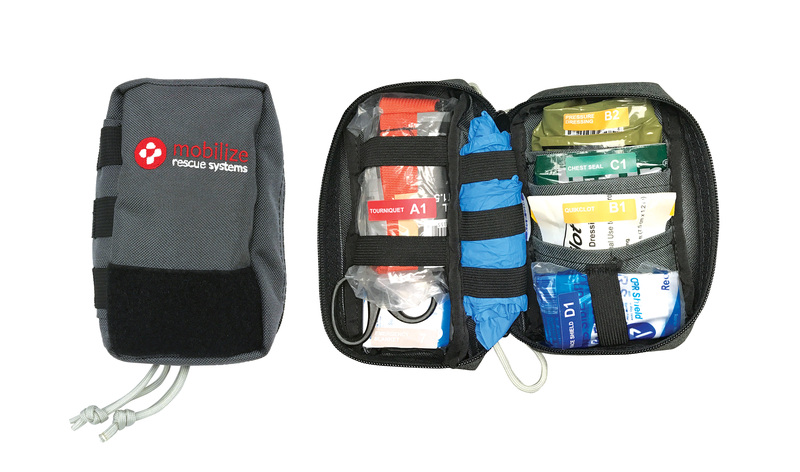 • Modern supplies to manage severe bleeding, cardiac arrest, and more for multiple victims. 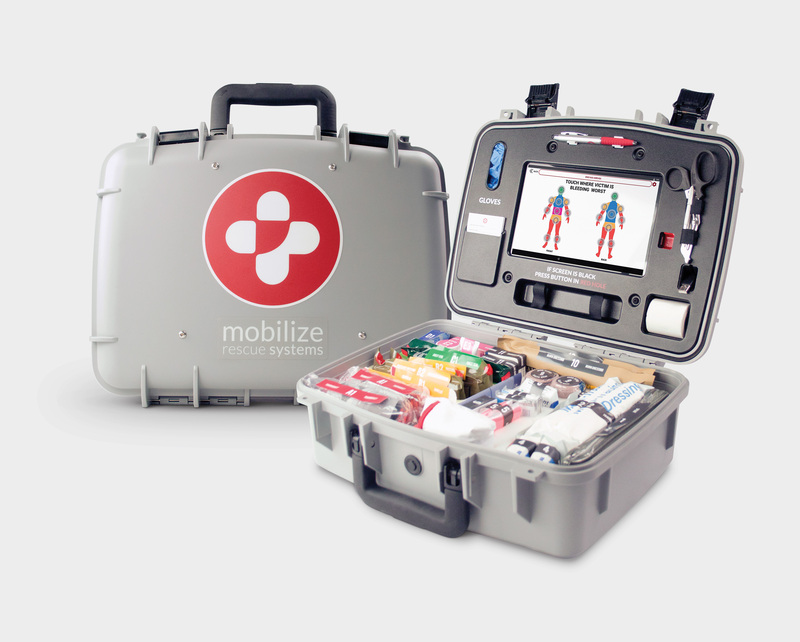 • Diagnostic app provides ‘just-in-time’ training to help untrained bystanders save lives.